Alien and Predator. Both iconic in their own right and both influential characters within the science fiction genre. Yet, a match-up nobody has managed to get right on film since the two came face-to-face on paper in Dark Horse Comics' original comic series. Both Alien and Predator are seeing fresh new takes on their respective mythologies - first with Alien: Covenant and now with this year's release of Shane Black's The Predator. 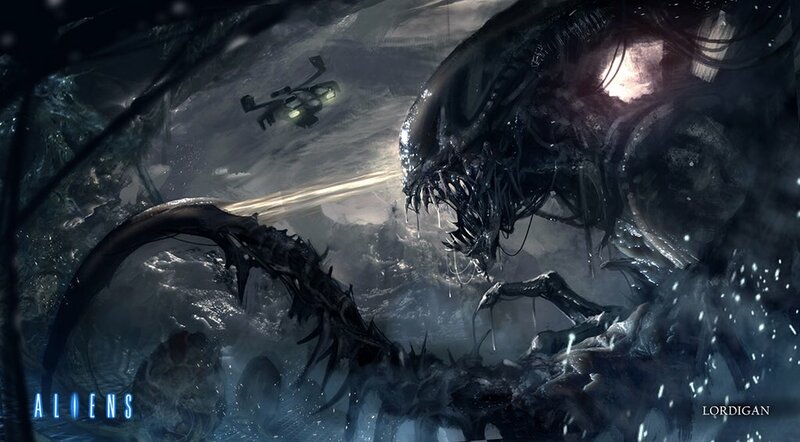 With Fox investing in both properties once again, the inevitable question is bound to surface sooner or later - will we ever see another Alien vs. Predator movie? 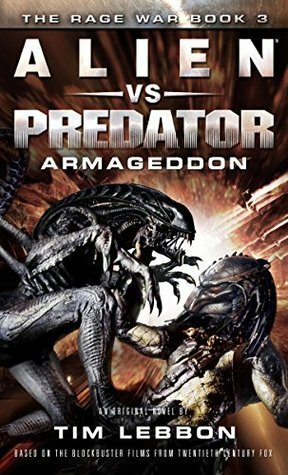 Most fans of each franchise will agree - if an AvP 3 or AvP reboot were ever to take place, the only way the film would gain any traction and attention is if it distanced itself completely from the established AvP and AvP: Requiem - as both were by all accounts terrible films. Plot aside however, from a visual standpoint alone, the following fan artwork by Lordigan really paints a perfect picture of what an AvP movie should look like, at least aesthetically. 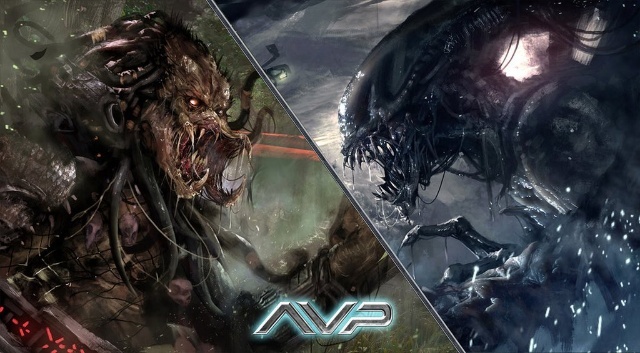 If an AvP 3 was ever to be considered, how would you structure the plot? Let us know your thoughts in the comments section! 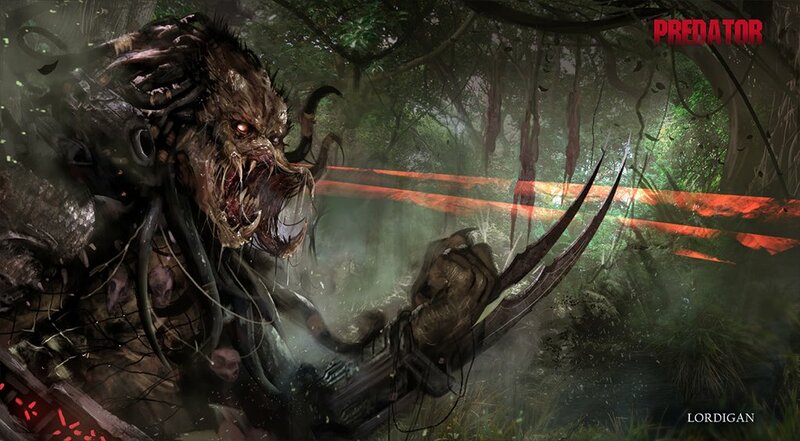 Currently, Fox have no plans of developing a third AvP movie, but that's not to say if The Predator is a commercial success, that they won't consider revisiting the idea. Thanks to Alex Valdez for sharing this art with us! I think Disney/Fox would be better to make a Game First and maybe introduce things like the Engineers, and Engineering/Black Goo and see how the Predator 4 Movies Genetic Upgrade Plot works out... Maybe a Game like this could be a bit complicated? I think the BIG THING... now is how well does The Predator do both Financially and Critically, if the Plot is actually decent and its executed decent.. it could leave Disney/FOX to consider a Sequel or sets of Sequels... So if the Predator 4 Movie does well, we have to ask WOULD they want to Risk Introducing the Xenomorphs back into it or a AVP Re-boot... If the Predator Franchise looks to have regained some New Footing (IF its a Success) If the Image of the Xenomorph is STAINED due to Alien Covenant... would a AVP movie then showcase the Predators as much more Superior which could in effect make the Xenomorph just Canon Fodder. IF The Predator does not fair well... then down the line i think YES a AVP Reboot could be on the Cards... but it has to be done right and within the kind of Time-Line Plot of the AVP Games. 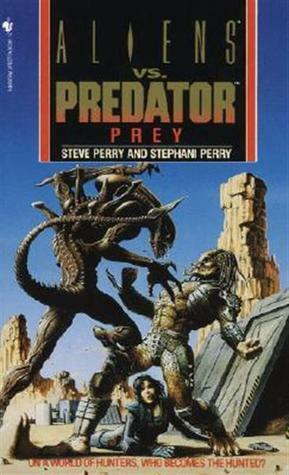 If there was to be a AVP3, then this is how I would go about it. I would want to see the movie based in Roman times, with the basic storyline being about some sort of Roman outpost near the Isle of Skye. There would be some warring local tribes who want to take on the Romans. This would set up a situation where the Yautja take notice and want to join in for some head hunting. But it would just so happen that among the Romans are some Engineers, who are there to return to a site previously visited by Engineers who left something behind, that being some of the results from black goo technology, and also inspired the cave painting discovered by Shaw and Holloway. Eventually a situation would come about where the Romans and warring tribes are dropping like flies and have to reach some sort of alliance in order to defeat the Yautja. Enter the Xenomorph, brought about by the Engineers. The twist here is that the Xenomorph would appear to be on the side of the humans at first and is required to be a weapon against the Yautja. By the end of the movie, nearly everyone is dead, either at the hands of each other, the Yautja or Xenomorph. Who ever survives is left to find a cave and make a cave painting. The closing scene of the movie would focus to a cave painting discover by Weyland. This cave painting would chronicle in greater detail the events that happened, but be known only to Weyland. Anyone else associated with this find is killed by Weyland and/or David. Somehow I don’t think this movie will ever be made, but it is something I would like to see. A game is a decent idea except that appeals to a narrow portion of the fan base and a decent game would take a while to develop. If they make a new AVP it needs to steer way clear of AVPR. Just follow the damn books FOX! Both these are excellent choices and have full trilogy's to follow. Do it! Both are insanely rich with Alien and Predator lore. Are set in the Alien timeline....not present time. On distant planets. Not suburbia. Have nothing to do the previous films. My choice would be Perry's trilogy for the Machiko Noguchi storyline! IRaptus I am unfamiliar with the books. I don't even know if The Predator is a reboot or its own thing. In any case it looks like there is plenty of fuel for the Predator franchise.